Welcome to the Paarl Business Directory, here you can look for everything about Paarl – online! Find businesses, services, fun stuff and much more about that which makes Paarl so awesome. Search by category below or by keyword at the top of this page. If you are interested in advertising your business on this great platform, view our Cost to Advertise page and submit your Advertising Enquiry to us today. One of our consultants will be in touch to discuss your requirements. The Paarl Directory is a product of Cape Business Online (Pty) Ltd , we are an end-to-end digital marketing agency that specialises in online directory advertising, website design and SEO (or Search Engine Optimization). Paarl is the third oldest town and derives its name from the large granite rock that lies on the outskirts of the town. In 1657 the Dutch India Company sent Abraham Gabemma, treasurer at the time, inland to forge new trading relationships. After a rainstorm, the granite glistened in the sun and Gabemma referred to the area as Diamond and Pearl Mountain. In 1688 the French Huguenots decided to settle in the area. The soil and weather conditions of the valley was perfect for the farming of fruit and vegetables. On the slopes they planted vineyards. Soon the name was shortened to Paarl Rock and eventually the area just became known as Paarl. Paarl is home to some world renowned wineries, yet this wine route is not nearly as well known as its Stellenbosch counterpart. There are some amazing discoveries to be made by those who visit this tranquil, yet fascinating town. Approximately 62 km North East from Cape Town via the N1 and 59 km from Cape Town International Airport also via the N1. Paarl is not only rich in history and beauty but is has a certain type of charm that will make you want to return time and time again. Perfect to enjoy a variety of foods, wine, fresh produce and live music. This family friendly market is open every Saturday. 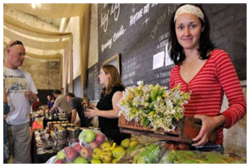 You will find the market at the Laborie Wine Estate, Taillefer Street, Paarl. A unique experience in every way. 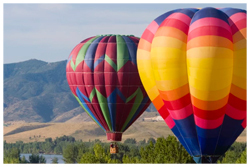 This can only be done during summer months, so be sure to book in advance. A fun and educational day out. 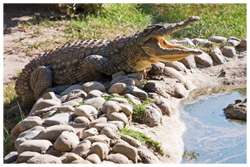 Learn more about these prehistoric reptiles, with tours offered every 45 minutes. Open seven days a week. 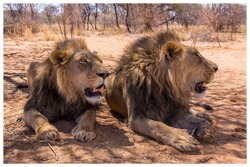 Whether you are a massive animal lover or just want to see these magnificent animals up close, this lion sanctuary is a must do. All the animals have been rescued from dire circumstances of abuse and neglect and come from all over the world. Due to their past they will never be able to live in the wild. The 50 acre park offers these animals a safe environment to live out their lives in peace and tranquillity. 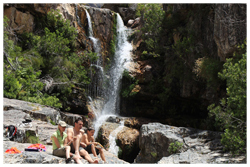 There are various, beautiful and exhilarating hiking trails to complete near Paarl, in the Limietberg Nature Reserve. Trails include the Elandspad Hiking Trail (need permit). This trail is 7 km long and takes approximately 4 hours to complete. The Krom River Hiking Trail (need permit) is a moderate trail that is about 7 km long. It can take up to 5 hours to complete, depending on the amount of time you spend swimming in the pool at the top. Lastly, the Limietberg Hiking Trail (need permit) takes two days to complete and is 36 km long. 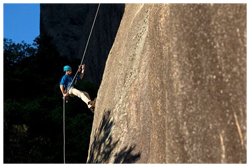 For the more adventurous, you can climb up Paarl Rock and Abseil down. There are a few companies that offer this adventure, be sure to find a reputable one. 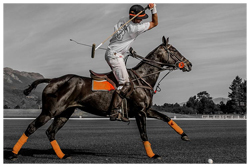 It’s called the sport of kings and if you’ve ever wondered what it is all about, be sure to visit Val de Vie Polo Estate. Take the family and enjoy a picnic while watching this exciting game. 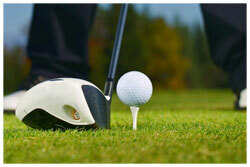 There are a few local golf estates in and near Paarl. These include: Boschenmeer Golf Estate: The only 27 hole golf course in the Western Cape, and Pearl Valley Golf Estate: One of the Top 5, 18 hole golf courses in South Africa.